Hello! 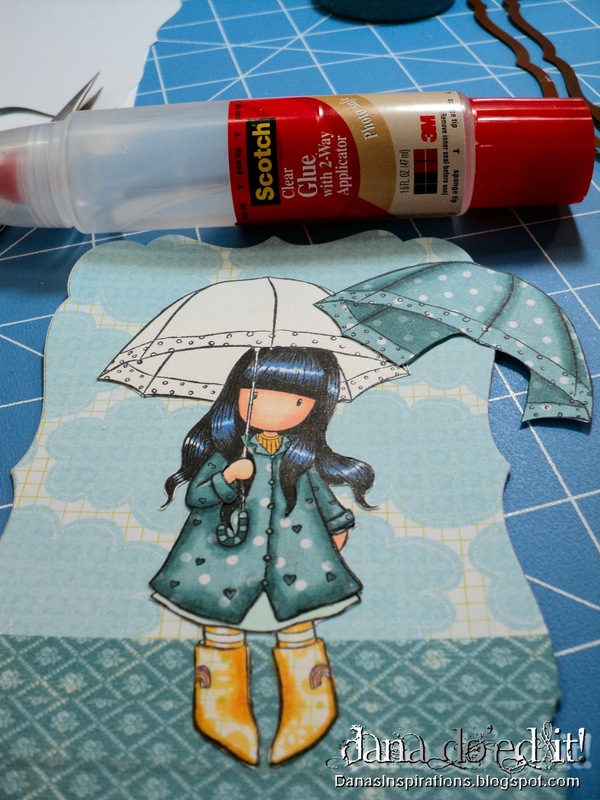 It's Michelle here with a Tuesday Tip...and my tip is to think of paper piecing when you need to make an adorable card in a time pinch. 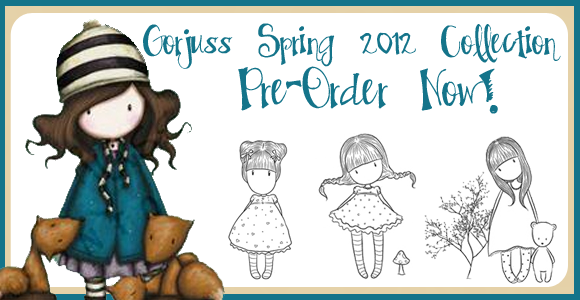 I colored my Gorjuss girl's hair, face and tights with Copic markers. 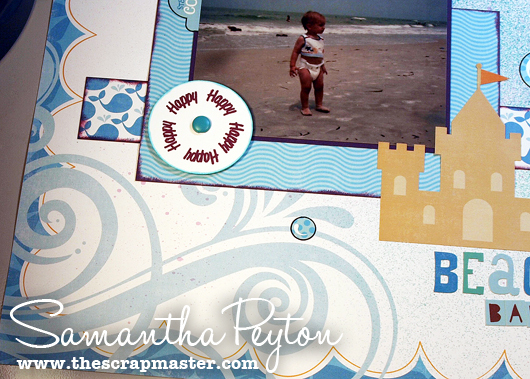 I then stamped my image repeatedly on beautiful designer papers. My image is popped up on foam tape and my darling paper pieced apples are sprinkled around the card for a fun embellishment. Sorry I don't have more details for you, but my daughter is ill and fevering....so I'm off to cuddle. 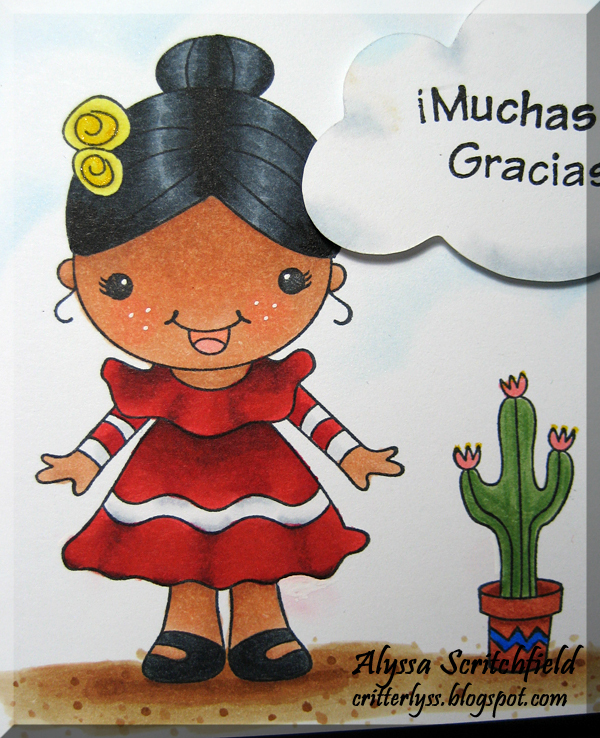 I hope to have SEVERAL cards for you the next time I post! Hey everyone!! Samantha here to bring you another iCopic challenge!! This is iCopic Weekly Challenge #32. Color an image of something that is supposed to be translucent -glass, balloons, a vase, etc. If the object is supposed to be see-through, then it is fair game! For my project, I colored in pink bubbles. I used Copic colors RV000 and RV00. 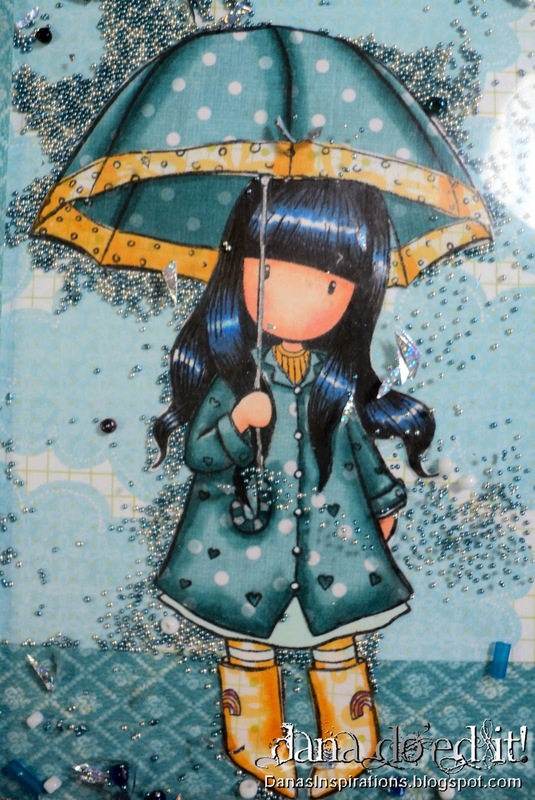 Then I accented each bubble with a white gel pen. 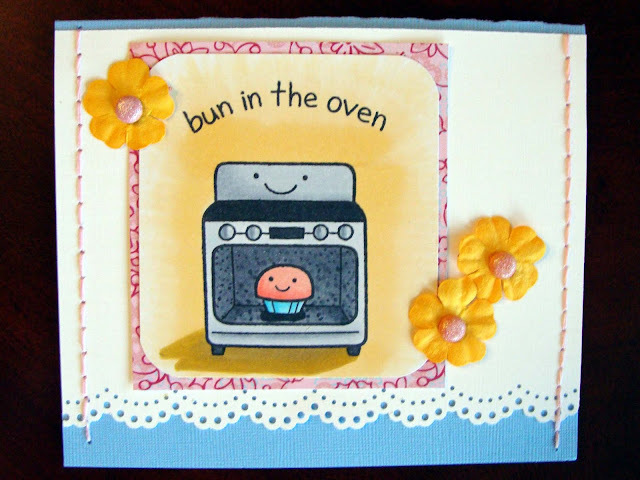 I also used some Washi Tape, a sentiment from the SP and Company I Love Love stamp set, and Wild Rose Studio patterned paper on the card. 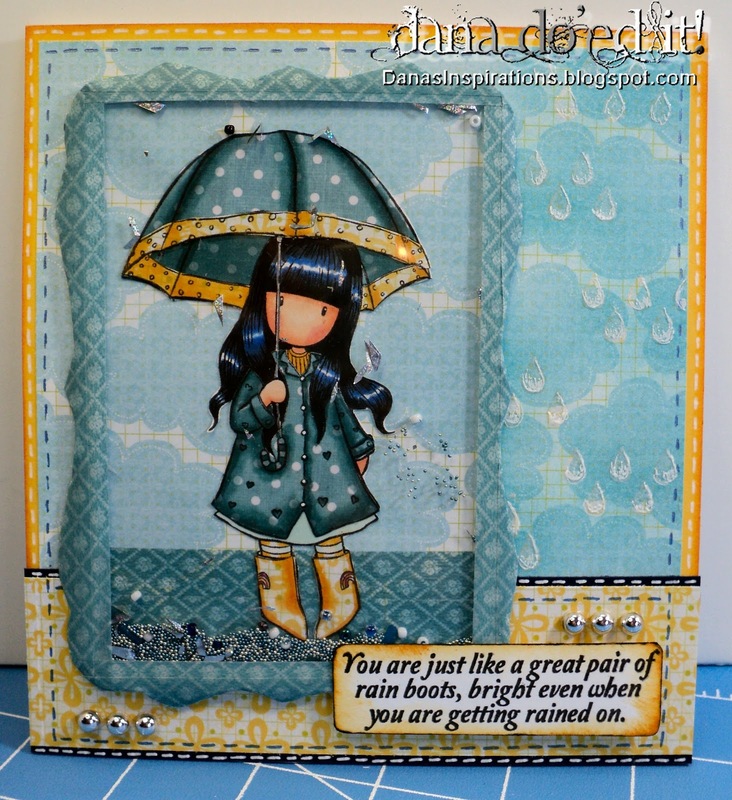 Now get to work on your the translucent challenge and come back and show us! Entries are due by June 5th at Noon PST. 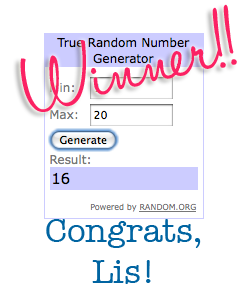 The winner will be chosen at random and showcased on the blog on Sunday evening! 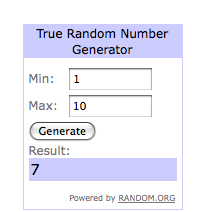 I have a lovely winner to announce tonight! Congrats, Michelle! 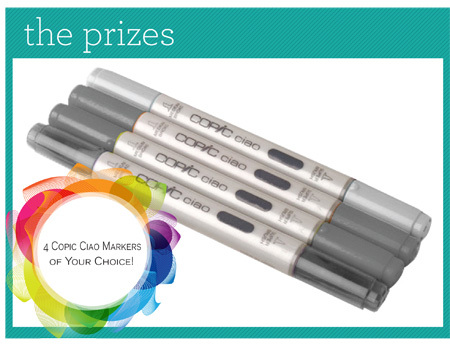 Please email us at info@icopic.com with your mailing info so we can get your prize out to you. Everyone, make sure to join us again this week for another challenge!! Hey everyone! 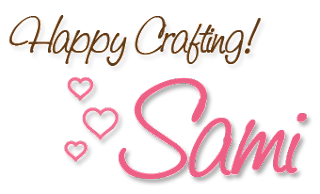 Samantha here and I am so sorry for not getting the Saturday Spotlight up on time! It was totally my fault. I had a migraine the size of Texas and have been in bed feeling yucky. 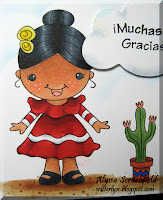 The think I love most about Mary's card is that she COLORED her flower embellishment with Copics! It was customized perfectly to match the flowers around the Greeting Farm girl's head. 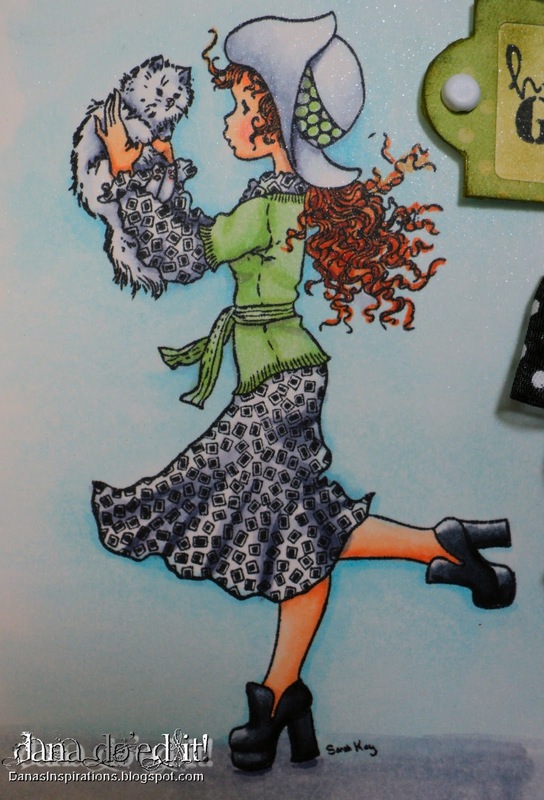 Carisa's image is so beautifully colored that it almost looks real! I just love how she colored everything so realistically on this project. 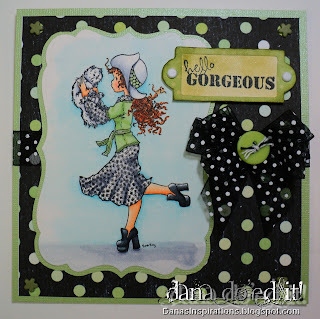 On Rene's project, I loved all of her uses of browns. All of the different shades of brown are just so lovely together. All of the projects uploaded to our Facebook page are awesome and I love seeing everyone's work. Please continue to share and inspire! I hope to see your work on there soon. This week I worked with a very appropriate hotty - Syren of The Greeting Farm. 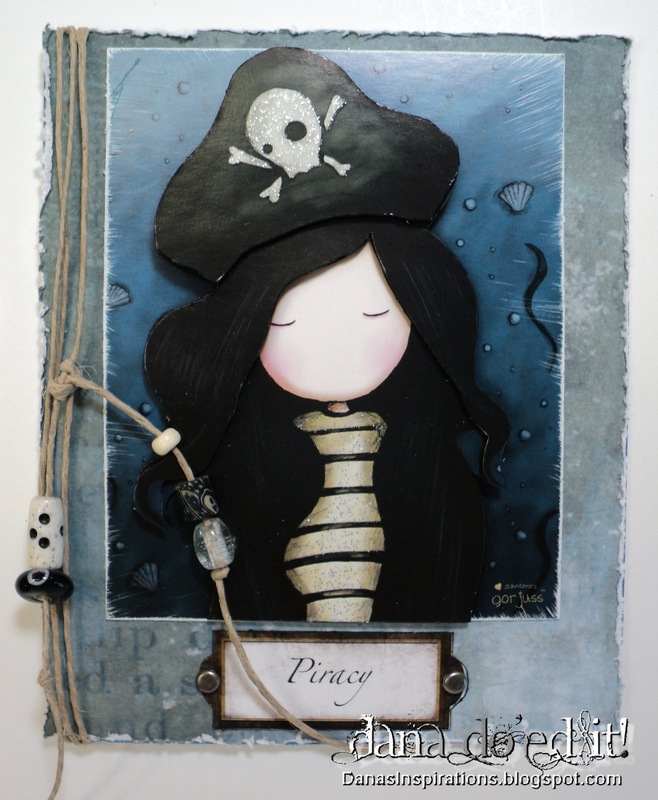 She is so very appropriate this week because of the new Johnny, er, I mean, Pirates of the Caribbean movie that came out this past week. I'm in the process of moving my crafty spaces, so didn't have a ton of stamps in my arsenal. 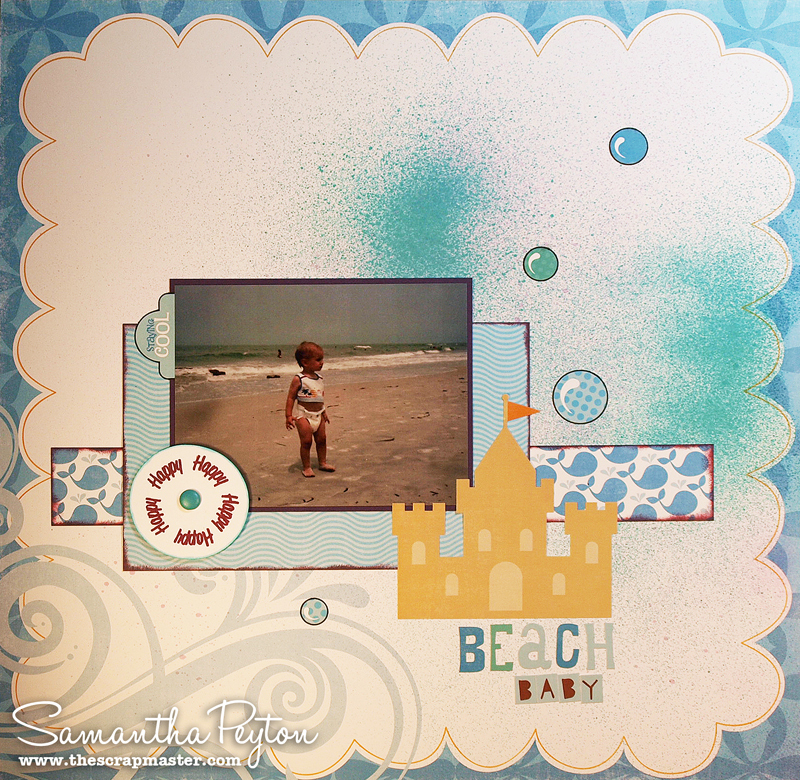 I needed a sea like background and always think of polka dots as a nice bubbly like backdrop. 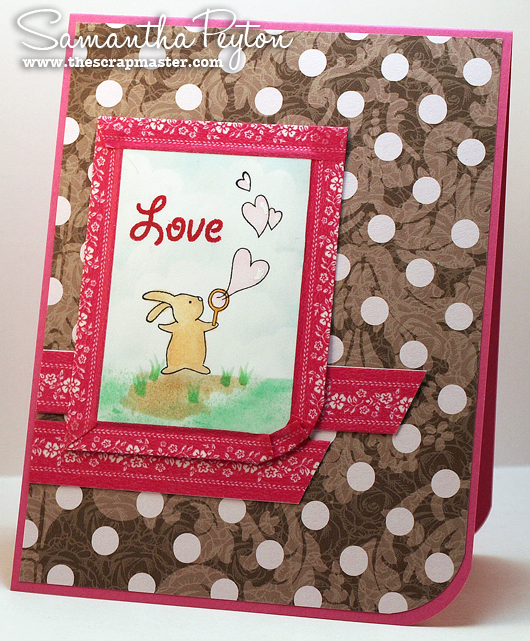 I found a polka dot heart in SP & Company's Artsy Heartsy (sent to my by our fabulous former DT Diva Linda C!) I turned the heart upside down repeatedly to stamp in the negative spaces of a line of hearts to create a polka dot strip. It's not perfect...but it doesn't need to be! It's just a background! Dana here and I cannot wait to share these two fun (and fast!!) projects with you!! Do you ever find yourself in a bind and want to make something pretty quick but still want it to be unique and handcrafted? 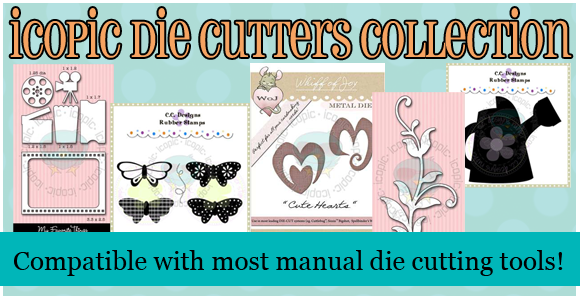 You HAVE to check out the new Decoupage sets icopic is carrying!! I've used the Pirate and Awash set and I just love the way they turned out!! 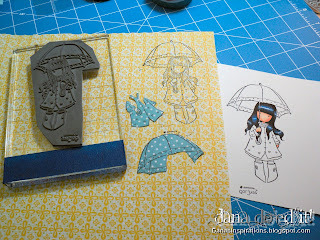 You get the decoupage sheet and a matching piece of cardstock. The whole thing made me think of Jack Sparrow and the new Pirates of the Caribbean movie coming out so I just had to add some hemp with beads! 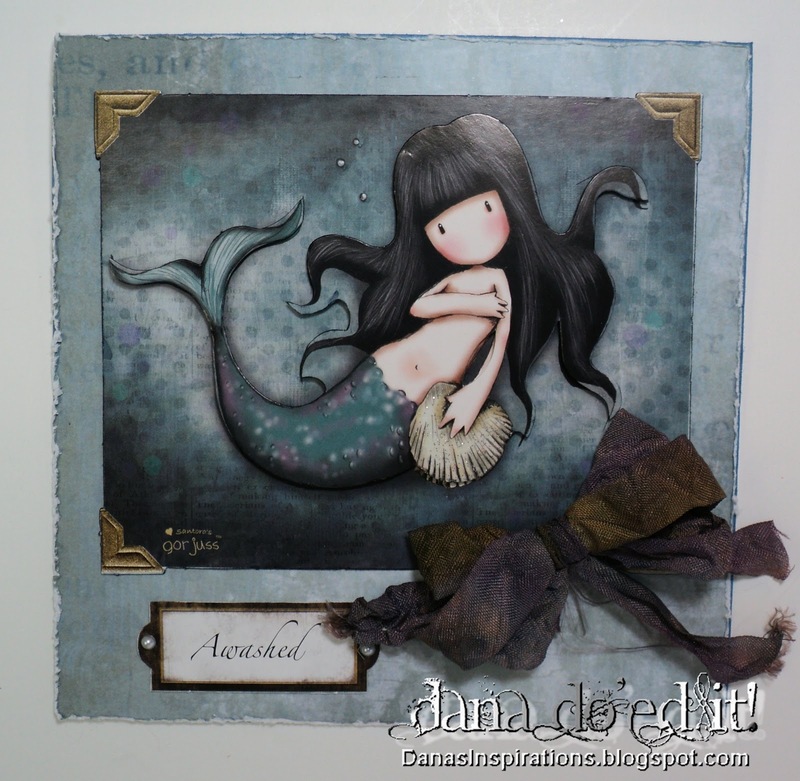 That is just chalk white seam binding that I dyed with my Tim Holtz Distress Inks. I layed the seam binding on a piece of wax paper and ran my pads right across it. I used Dusty Concord, Peeled Paint and Faded Blue Jeans. Then I spritzed it all with Copper GlimmerMist and scrunched it up real good to give it that crinkled look. 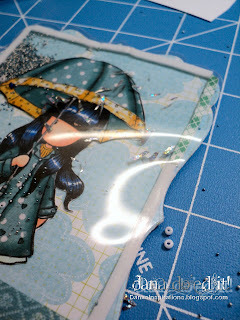 Then I dried it with my heat tool just fluffing slightly and continued to wipe up the puddles of color on my wax paper. I love how it turned out!! Oh my gosh.. 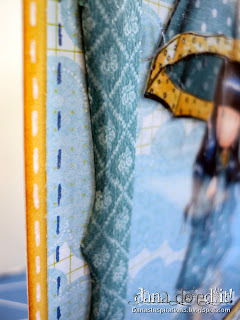 I LOVE this image from Sarah Kay for Stampavie!! Is she not just the sweetest? I wanted to keep her hat, dress and kitty pretty much white. 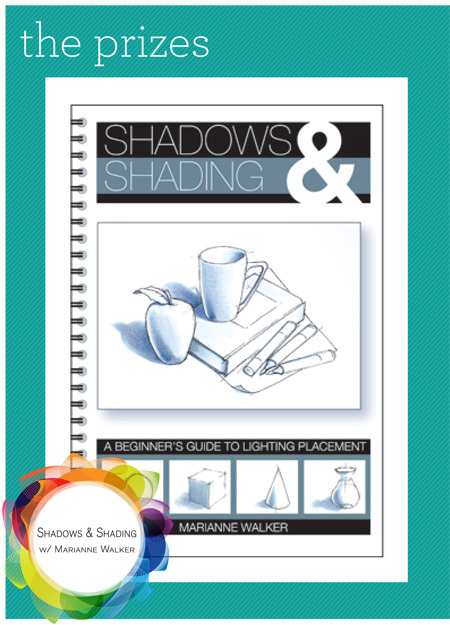 My favorite colors for shadowing whites are BV20, BV23 and BV25. Are you sick of this post yet or do you want to see one more close up? 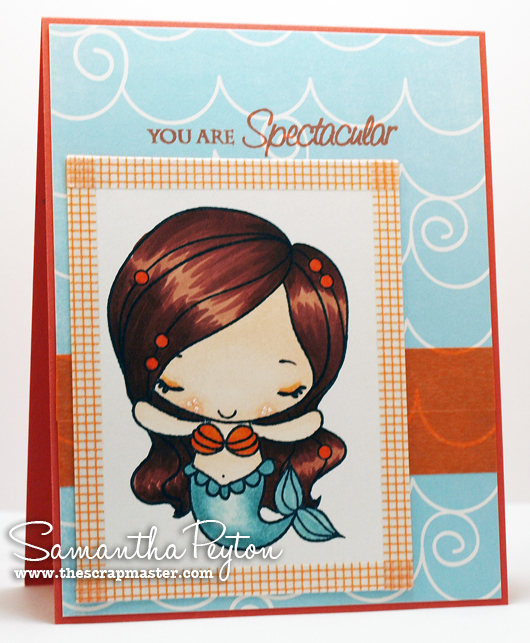 The sentiment is from Amy R's Sassy Sentiments set. I also need to mention that gorgeous (and funtional!!) 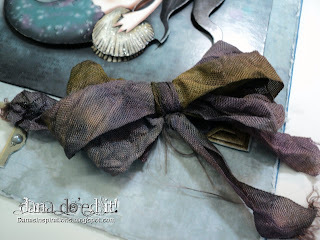 Divine Twine I used to attach my button to my ribbon!! 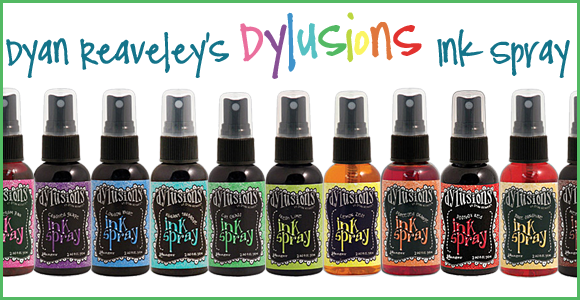 Love that stuff!! Thanks so much for looking!! I hope to see your creations in this weeks challenge! Hello everyone!! Samantha here, bringing you another Tuesday Tips and Tricks. Isn't that easy?! I thought it was just so simple yet so pretty. The frame really finishes off the card. This cute little Image is Mermaid Anya from The Greeting Farm. 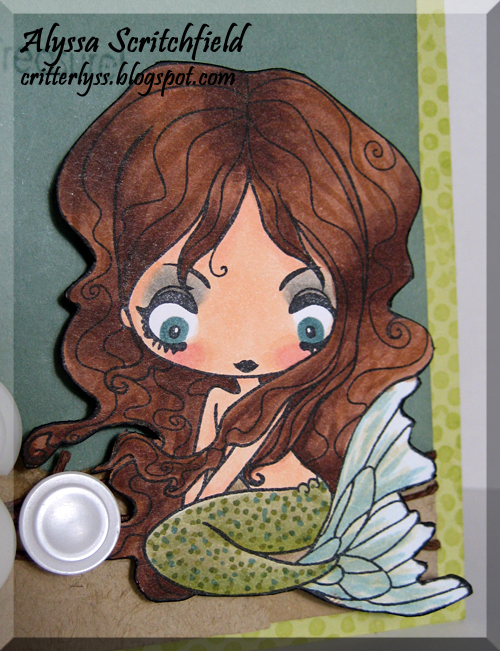 These stamps are just too darn cute!! 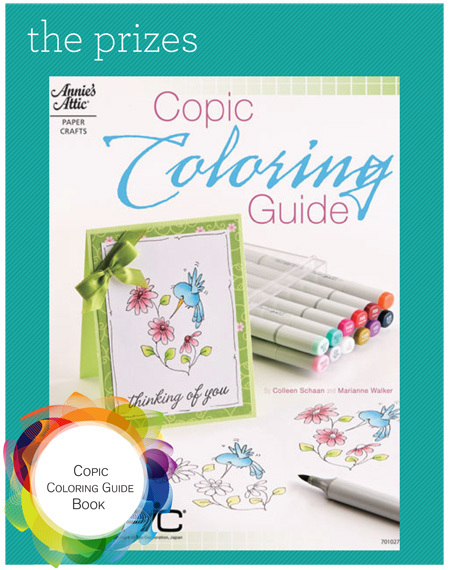 To color the image in, I used the following Copic colors from iCopic.com: E0000, E000, E00, E02, BG70, BG71, YR68, YR07, YR16, E15, E18, and E29. I accented her cheeks with a white gel pen. 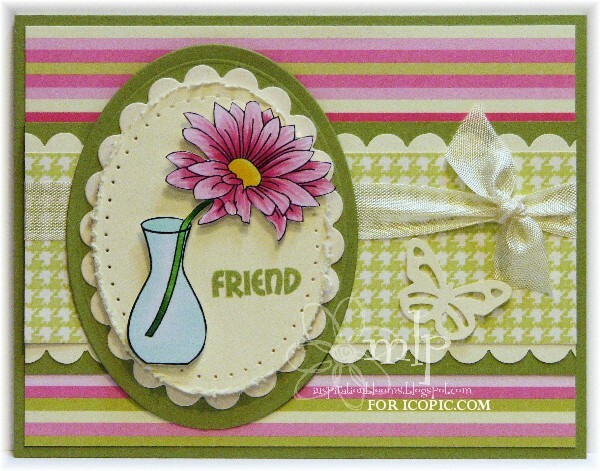 The sentiment is from the SP and Company Mix n Match Friends stamp set. 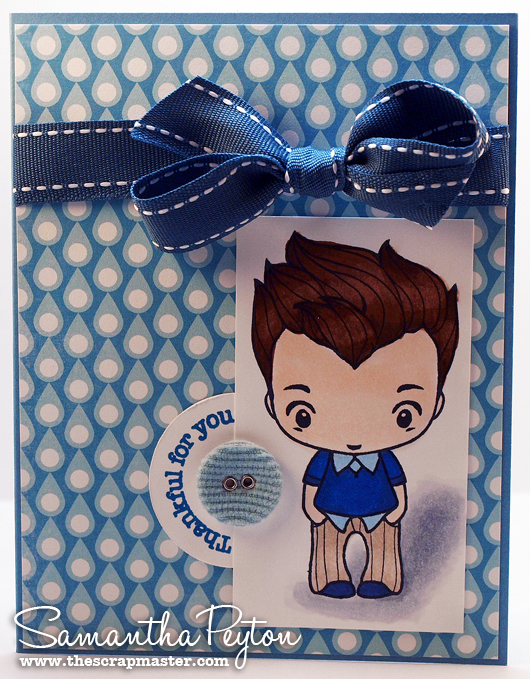 I designed this set so that you could mix and match the words/phrases to create whatever sentiment you would like. My complete card details can be found by clicking here. Hello! 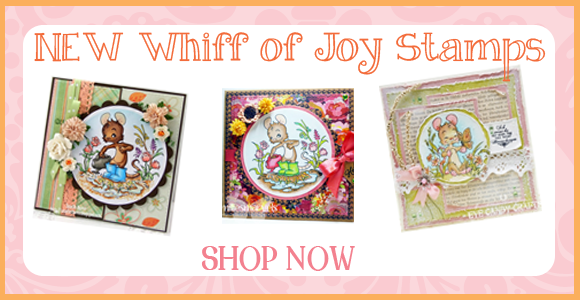 It's Michelle here with two happy spring cards for you today! My first card features the For Every Woman set from SP and Company. I colored my image with the Copic markers shown below and then fussy-cut the image and popped it up on foam tape for dimension. 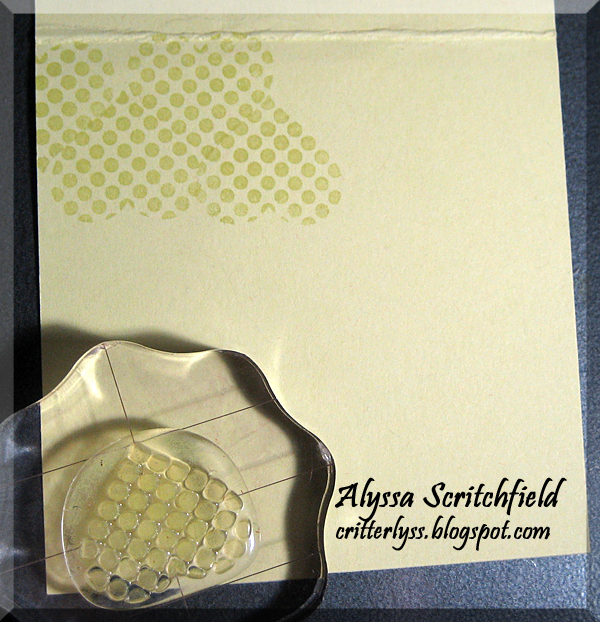 I framed my image with Spellbinders Ovals and Scalloped Oval dies. A touch of piercing finishes my focal image frame. Friend is from SP and Company's Candy Hearts set. My second card features the adorable Magnolia Tilda with Hanging Rabbit image. 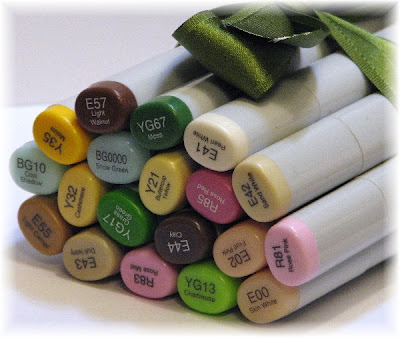 I colored my image with the Copics pictured below and fussy cut her as well. 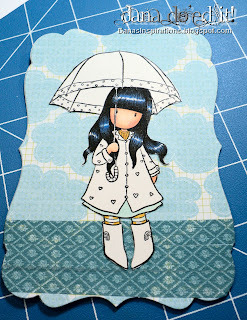 She is popped up on foam tape for dimension. 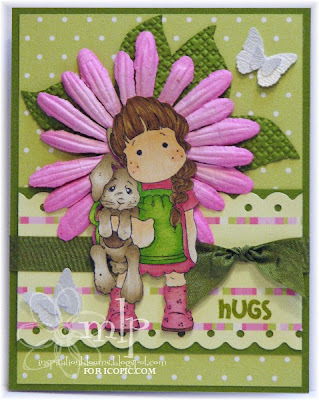 Hugs is from the SP & Company Candy Hearts set. This is Rosa from Mexico. 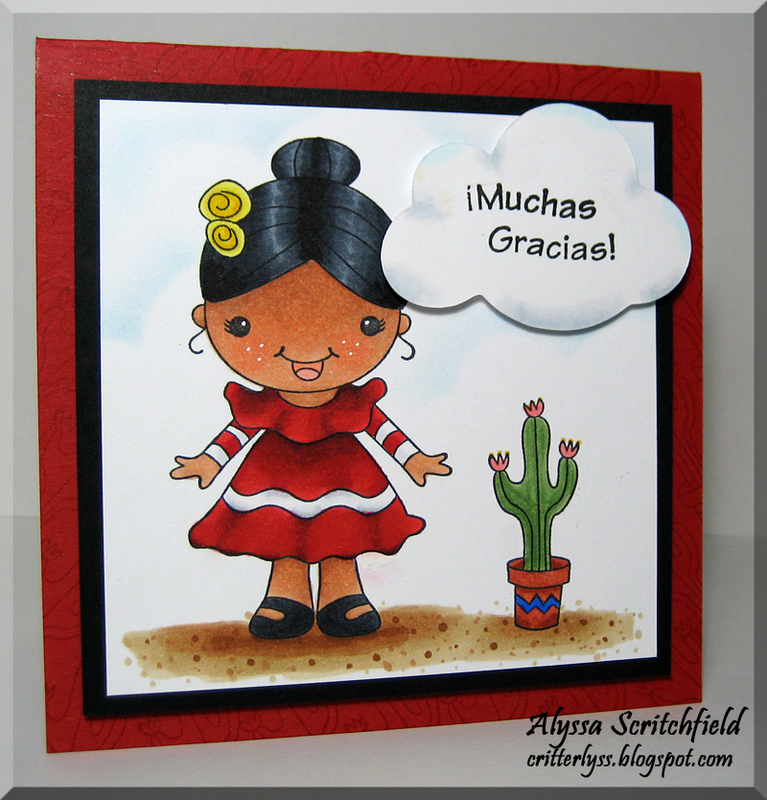 She is one of the sweet little characters from around the world made by Your Next Stamp. I used E11, E13 and E15 to make her skin a little more ethnic. Her dress is colored with R24,R27, R29 and R59...I'll let you in on a little secret! I made a rather large boo-boo on the bottom of her dress! Try as I may to push that color back in with the colorless blender, it just kept bleeding out. I covered it up with a white gel pen! Go ahead, click on the pic and make it bigger so you can see where...I'll wait here........... Not too shabby, eh? It's not the best cover up, but it beats starting all over! The ground is something new! I wanted to create a shadow of her, so I shaded with E37, E33 and E31. It looked a little flat, so I added dimension with some dots of each of the colors. Kind of fun, don't you think? 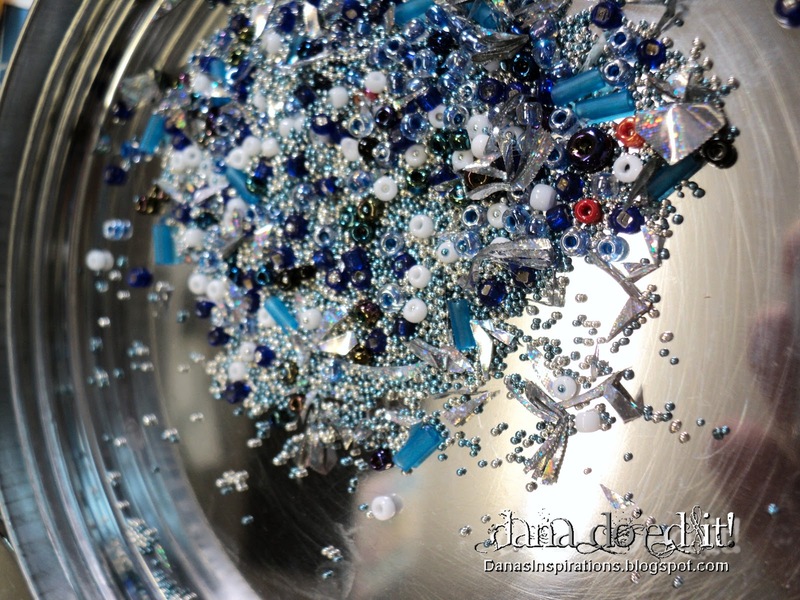 Dana here and I cannot wait to share with you all the fun stuff I got to play with yesterday!! This is a long one, so get a cup of coffee and sit back! I'll start with the finished card first so as I show you the work in progress it will make sense. Wow!! She's really getting rained on!! Ok, so I warned you, here comes all the parts that went into making this. It's got a little surprise twist! First I stamped her with Memento Ink in Tuxedo Black on Copic X-Press IT paper and on two different patterned papers. 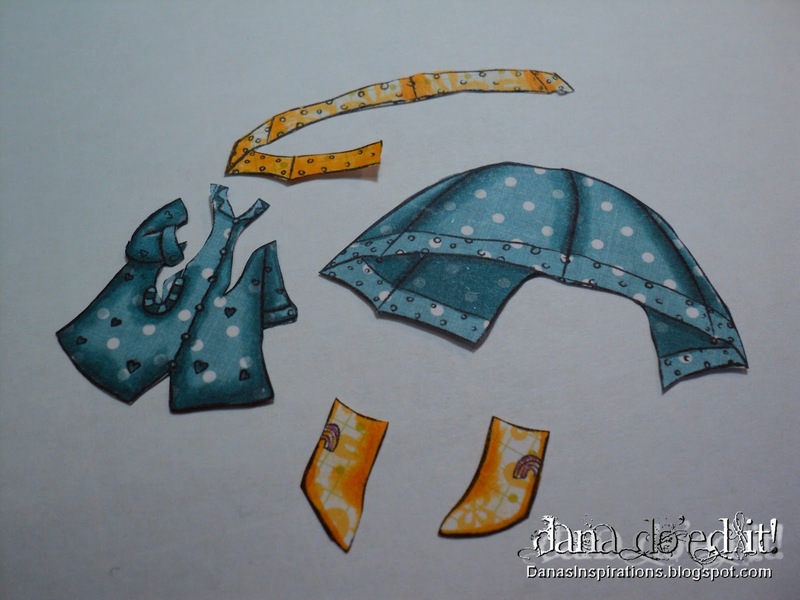 Those blue polka dot pieces have already been cut out. I then shaded all of my paper pieces with my copics. I find it's easier to do that before I glued it down just because I tend to get glue everywhere! Here's where my card took a wonderful turn. I used Washi Tape to create a large portion of this card! This was my first time using this product and I love this stuff!! The one I used is actually from the Coffret du Coturier Blue set. You can see here I started building my shaker portion by cutting out a nestie shape. 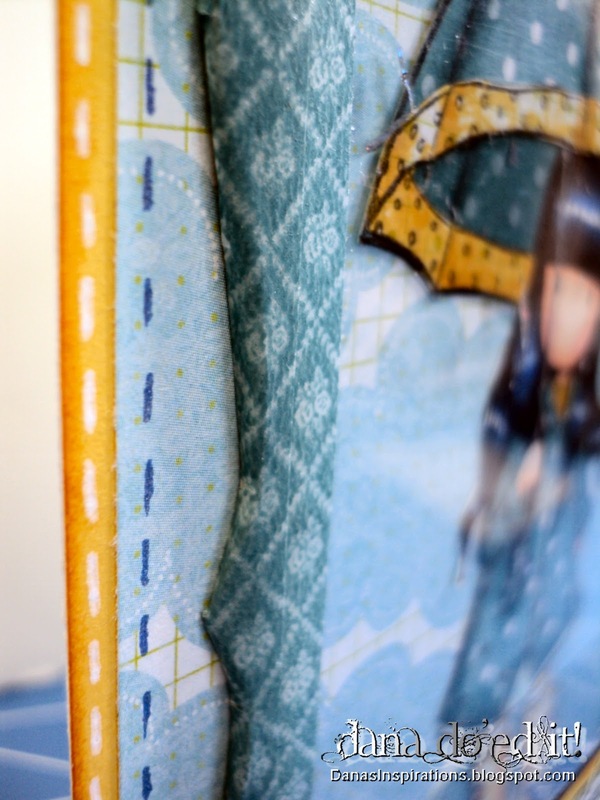 I created the ground line with the washi tape and then I glued down my X-Press IT piece. Then the fun really started! I gathered together a bunch of seed beads, mini balls and bugle beads for my "rain". This card sounds sooo cool when I tilt it! It actually sounds just like rain! I never saw those red ones until I was editing these pics. Who knows if it made it into the final card or not.. lol! 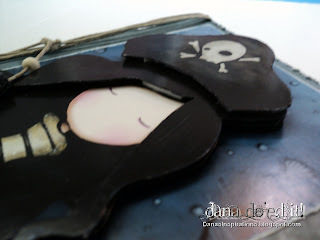 I cut a piece of transparency with the same nestie. 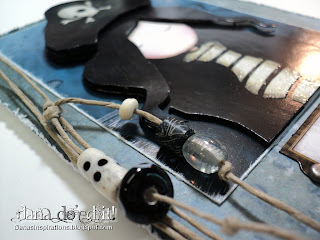 I added foam tape all the way around the image panel leaving one section with the paper still on it to add my beads into. Now this is where I had my happy accident! Originally I had planned on using a frame I had cut with the same nestie shape but my foam tape showed in places. 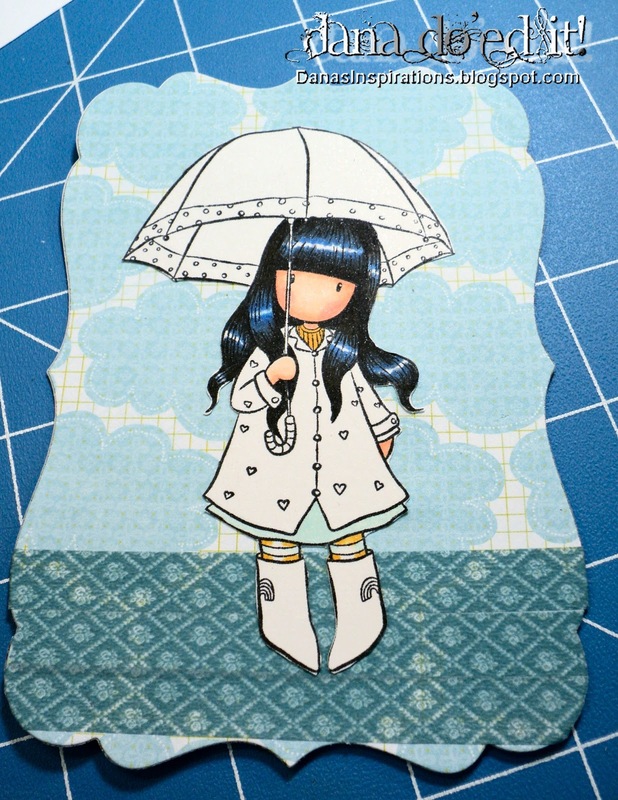 So I decided to cover those bits with more Washi Tape. Well, I ended up using the Washi Tape to complete the rest of the frame and I LOVE how it turned out!! Because the tape I used is thinner I just did two widths. It was really easy to line up the pattern. Then I cut it in small sections and folded it to the back. The sentiment and raindrops are from the Rain Boots set from SP & Company. 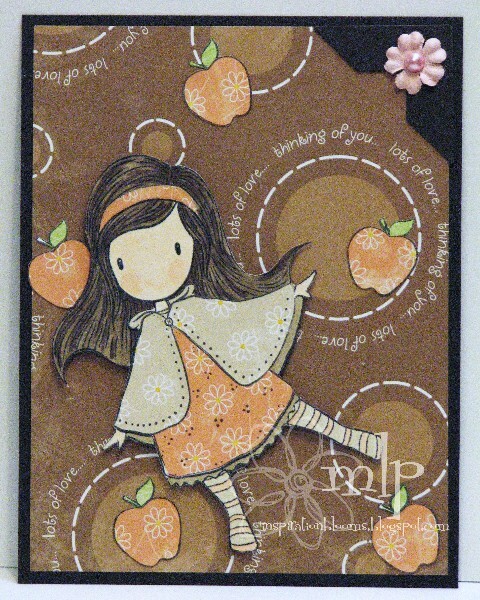 I also used Wild Honey and Tumbled Glass Tim Holtz Distress Inks by Ranger around all of the panels. 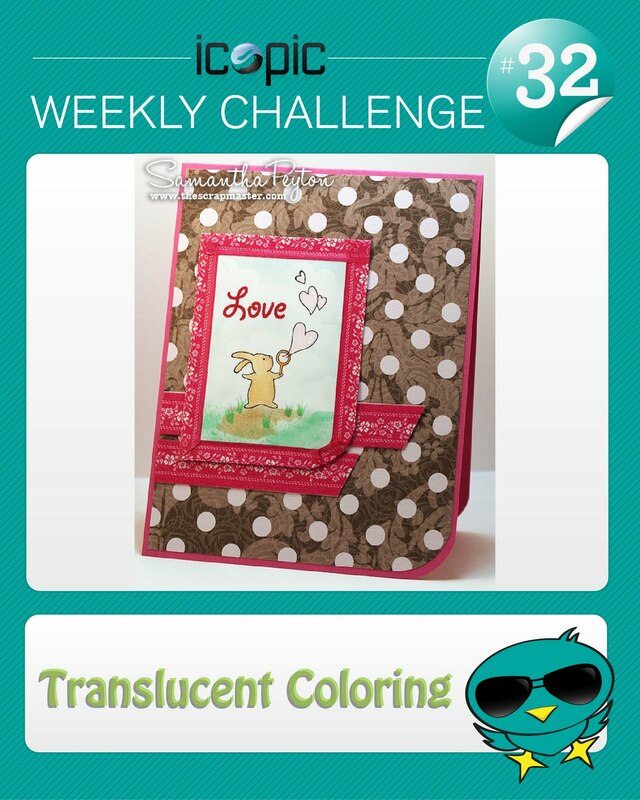 Don't forget there's still plenty of time to enter our blonde coloring challenge this week!